Ancient Greece dates back to the stone ages, more specifically between the Archaic period of the 8th to 6th centuries BC. 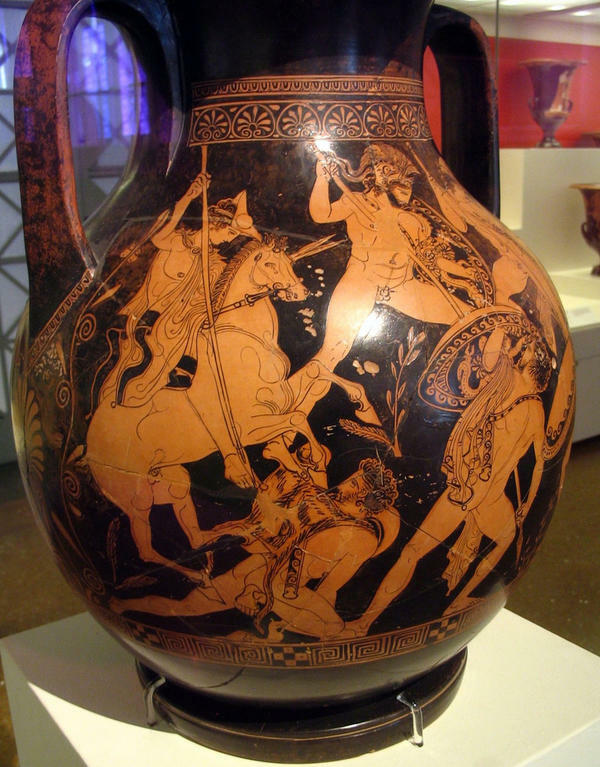 The first ancient Greeks were very skilled hunters which are depicted in the famous orange and black illustrations on ancient Greek vases. The Neolithic period lasted form 6000 - 2900 BC. Ancient Greek settlements have been found on the east of Greece and archaeological findings indicate that people travelled due to overcrowding. The ancient Greeks in the Neolithic period lay the foundations for the cultures and society for the people that followed. The Neolithic Greek people were some of the earliest farmers. Methodical farming, stock rearing, bartering and pottery steadied the economy of the region. People formed settlements in Greece, rather than moving from place to place. Permanent settlements allowed for animals, such as sheep and goats to be domesticated and for the growing of crops. Bases were made around sites with a large water supply and in open areas. The ancient Greek bronze age lasted approximately 3000 years. Throughout the 3000 years Greece undertook a huge advance in technical, economical and social activities. The ancient Greeks were more developed than its neighbouring countries which meant that it was the hub of the Mediterranean. Following the hunters came the Mycenaean and Minoan civilisation who arose during the Bronze age. The Mycenaean and Minoan were farmers who lived of the land and produced grain, olives and grape (used to make wine). The Mycenaean society was ruled by warrior aristocracy. The Minoans society advanced through trade, whereas the Mycenaeans benefited from conquest. The next era in ancient Greece was called the Dark Age. Archaeological evidence shows that the birth of the Dark age correlated with the collapse of the Bronze age. The Dark Age is known for its wars and invasions, and Greek civilisations had to adapt quickly. The majority of Mycenaean palaces and settlements were either destroyed or abandoned, with the exception of the one in Athens. 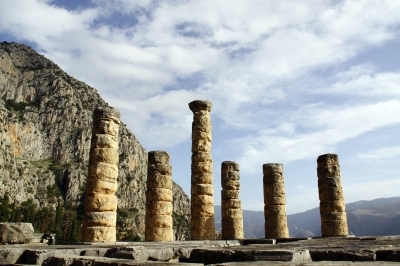 The population of Ancient Greece fell dramatically and people lived in small groups. These groups of people lived off the crops they grew and the animals they reared, and travelled frequently to suit the needs of their pastoral and livestock needs. The Dark Age came to an end in 750 BC. The Archaic period in Greece was a happier era than the Dark age which preceded it. Enhancements occurred in politics where the theories of democracy were begun. Culture and art improved too and much of the art seen in the Archaic period is said to have influenced artists in the Classical period which followed. Literacy and the knowledge of writing was re established which had been lost throughout the Dark ages. The famous Ancient Greek King called Alexander the Great died during the Classical period in 323BC. His death is surrounded in mystery as supposedly he died from a mystery illness. However some believe that he was poisoned by the sons of Antipater, had a relapse of malaria or caught an illness at a drinking party. 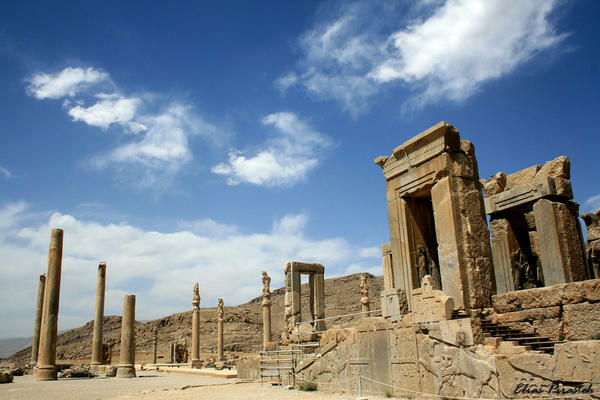 During the classical period the Greeks came into conflict with the kingdom of Persia, to the east of Greece. Politics had progressed and a democratic government was introduced under the leadership of the Athenian statesman called Pericles. The Hellenistic age marked a turning point for ancient Greek civilisation. The society changed from a localised and introverted culture to an open and cosmopolitan one, meaning that the Greeks embraced different countries and cultures.